The poll, taken out by the Institut français d’opinion publique (IFOP), was published on Sunday (4 November), and showed that Macron’s centrist party Republic on the Move (LREM) had fallen to 19%, while Marine Le Pen’s RN — formerly the National Front — rose to 21%. Sovereignist Nicolas Dupont-Aignan had scored 7%, while the two ‘Frexit’ parties, each who campaign for a withdrawal from the European Union and led by Le Pen associates Florian Philippot and Francois Asselineau, won 1% each. French President Emmanuel Macron has warned Europe of a return to the 1930s because of the spread of a nationalist “leprosy” across the continent, in an interview published Thursday (1 November). There were approximately 1,000 participants in the poll, and they were asked about their voting intentions if the European Parliament elections were to be held imminently. In an earlier poll released in September, the results had Macron and Le Pen tied for popularity at around 21% each, with the conservative Les Republicains in third with 14%, and Melenchon’s France Insoumise fourth with 12.5%. This time, however, the far-left France Insoumise led by Jean-Luc Melenchon fell to 11%, after he was widely condemned for his behaviour towards police officers during a raid of his party offices. Sunday’s poll shows results incongruous with the previous IFOP poll conducted in May, in which LREM was on top with 27% of this vote, while the far-right parties walked away with just 17%. 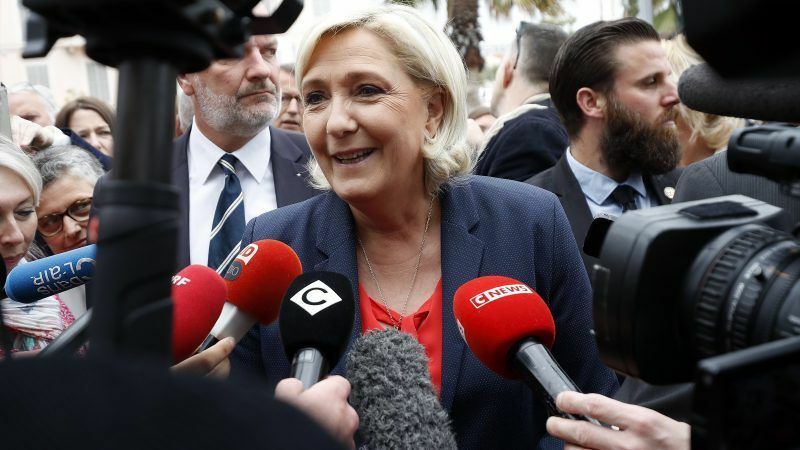 Many expect the European elections next year to be a fierce contest between pro-EU factions, such as Macron’s LREM and far-right parties that take a hard stance against immigration while also pursuing a nationally-focussed political agenda. The elections will determine who has a seat at the table across the EU’s institutions, with the leader of the largest party in the European Parliament being given the golden role of the president of the European commission, under the Spitzenkandidat process. Macron has ambitions to make a statement as part of the elections next year, but so far the signs aren’t in his favour. In a YouGov poll published last week, his popularity fell to its lowest level since French presidential election of 2017. He has also faced setbacks after the brusque departure of two high-profile ministers, while stubbornly high unemployment, high taxes and rising fuel prices add to a general feeling of discontent amongst the French people. It’s little wonder the King Canute’s in Brussels want to appoint the next group of Presidents & Commissioners & keep the levers of power away from Democracy. The Euroweenies are deaf dumb & blind when it comes to the wishes of the voting public choosing to listen only to the voices on their own playlists! Maybe the voting public should also stop listening to their voices on their own playlists? Do tell us what a “Frexit” would actually solve, apart form making millions poorer and weakening France’s political clout. So you advocate the Soviet method of democracy? In western liberal democracies (Although the Liberals are becoming increasingly illiberal) the people vote & the parliament is reflected in the vote. With the EU it doesn’t matter how you vote because the policy makers are appointed & the commissioners are even Interviewed/Vetted by the real powers before they get to see the light of day and stand in front of those that have been elected to be ratified U lets face it you can’t ratify someone who hasn’t been presented to you. Who’s speaking of Soviet method ? 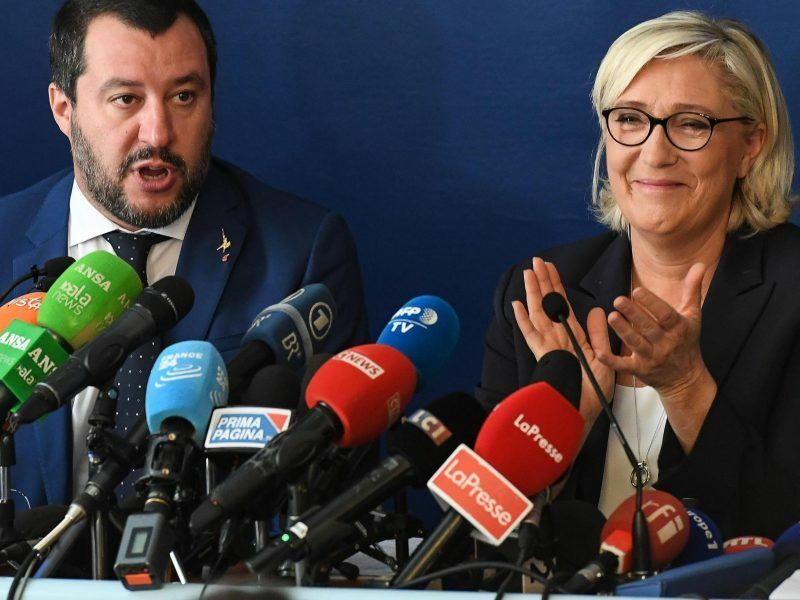 I can agree with some that European people are not happy with the EU, but sending extrem-right people, let’s say fascists, to the EU Paliament is not going to solve the issue ! The European Council is made of the heads of our states (all elected) and their ministers. The Commission is choosen by the Council and controled by the Parliament. 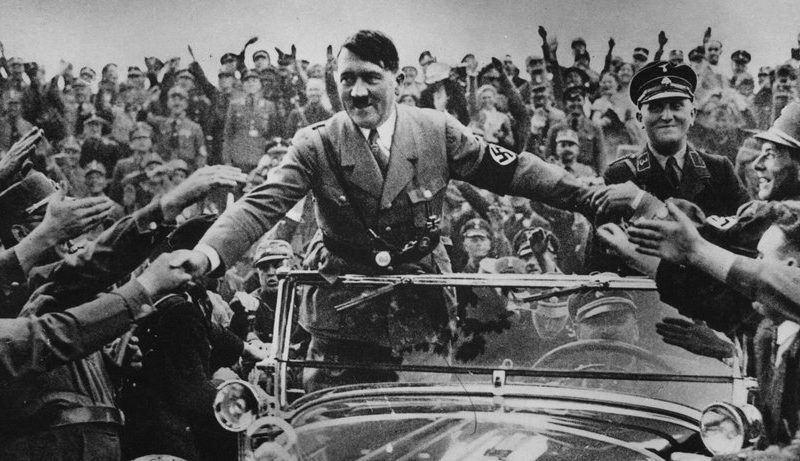 With your speach, you imply that all our countries are led by dictatures. You have confirmed my comments with your post. Indeed we do send the MP’s to Brussels but they ignore their mandate & people simply get more of what they don’t want and didn’t vote for so they look for other options to change the game & have found the solution is to change the marked cards for a new deck. Well, the European parliament cannot initiate legislation but only approve or reject whatever it has been thrown at by the Commission and sometimes the Council. Without entering into the various details about who decides what – quite debatable – it appears that the people do not really have a choice in a world that is driven by the markets and left, right or social parties do not have a real function any more. Without being able to apply any policy on their own they are themselves redundant as the most powerful economies enforce it to all through the European institutions. You seem to ignore who is Le Pen, unless you are one of his fans. Are you ? The Le Penfamily is the best exemple of nepotism. and the number of condamnations for antisemitism, negationism and racist speaches is endless. Do you follow them ? Finally, there is a doubt upon money taken from the EU Parliament (your and my money) and the French Justice is enquiring. Do you agree with these ways of making money ? Then do you see why voting for Le Pen is a problem in France ? The French made a huge mistake by voting for Macron, more globalisation and less democracy. Le Pen will stand up for France. You may love the EU, but I loathe it, just as I have loathed every other dictatorship. Varoufakis was right about Greece and look what the EU did. I just hope this time Italy stands its ground. And I hope Marine continues to overtake Macron in France.